The employee handbook is one of the most important documents your company will ever develop. This is just as true for small startups or growing restaurants as it is for large corporations. A good employee handbook welcomes a new hire while also outlining essential information about company policies, rules and procedures that can help ensure employees’ safety, security and success at your workplace. Documenting and sharing company policies helps to protect your workplace against unnecessary misunderstandings or more serious risks that can arise from disputes or a lack of clarity. Most importantly, your employee handbook is one of the first opportunities you get to showcase your company culture and make a good first impression with new recruits. Keep in mind, as day-to-day aspects of work change and new employment legislation rolls out, you should revisit your employee handbook on an annual basis to ensure it is up-to-date. Of course, one size does not fit all when it comes to employee handbooks, and what goes into it depends on your industry, location and unique company culture. 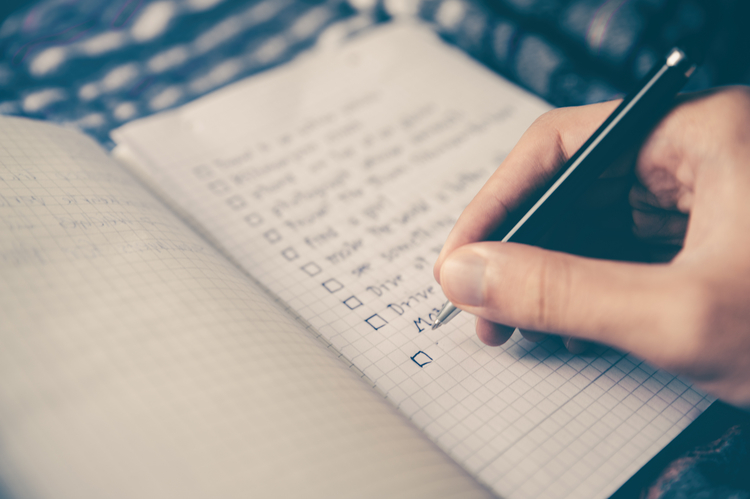 Below is a general guide, suggesting key sections to include in your employee handbook (for a quick, at-a-glance reference, here’s a handy employee handbook checklist we developed). Is there something we missed? Drop us a line and let us know what’s in your company handbook! Opening with a welcome message is a powerful way to set the tone of the handbook. When written and signed by an executive or head of the company, it can also add a much-needed personal touch to a document that would otherwise be heavy with rules and policies. TIP: Congratulate the employee on their new role, but also be sure to thank them for choosing to join your team! Take this opportunity to provide a high level statement about what is covered in the employee handbook and what your organization hopes the reader will gain from it. It is also good practice to identify a point of contact for the new hire to follow up with should he or she have any questions about the contents of the handbook. You could take that a step further, and invite feedback and suggestions for continuous improvement on the policy book. TIP: Include a disclaimer here explaining that policies are subject to change – an employee handbook is a living, breathing document! In addition to communicating company policies and procedures, today’s employee handbooks are almost equally designed for the purpose of communicating company culture. As one of the first documents your new hire will read at your company, this is your chance to share basics like who you are, your company history and timeline. More importantly, this is where you communicate your company’s mission, vision and values – the attributes that underpin both the rules and the way of life at your workplace. Setting the stage here provides context for the policies that follow. Outline how company practices around recruiting, hiring, training and promoting employees fit within the legal framework of the states, provinces or countries in which you do business. Here you address issues such as age requirements, equality, discrimination and accessibility. Let your new hire know that you are an equal opportunity employer that hires regardless of gender, race, religion or sexual orientation. TIP: You may make reference to specific legislation, for instance the Americans with Disabilities Act (ADA), highlighting how your company strives to be a barrier-free workplace. Break down your employees first day, week, month or even three-month period, noting any key milestones such as new employee orientations or probation periods that may be standard at your workplace. Some key things to talk about here include onboarding, which covers how – beyond the employee handbook – new hires are introduced to the company, management, teammates and way of life at work. Be sure to mention any training courses or modules new employees are required to complete within a given timeframe. For example, financial institutions often require that employees take online courses regarding regulatory compliance and anti-money laundering. In the food service industry, certifications around health and safety regulations or safe service of alcohol are often required. TIP: If your company has a standard process around performance evaluations, this is a great place to introduce it. Understanding the rules of the workplace is key to your new hire’s success. Here you will cover basics such as scheduling, vacation and holidays, absenteeism, lateness, work hours, payroll, benefits, overtime compensation and incentives – to name a few. TIP: Be detailed, but flexible, to ensure your handbook covers employees in various roles, departments and levels of seniority. Also critical to your new hire’s success is a clear understanding of expected conduct – including what is expected, and what will not be tolerated. This is where you will address everything from dress code, cubicle décor and use of social media to heavier topics such as workplace bullying, sexual harassment, violence and substance abuse at work. TIP: Address topics like solicitation and competition, so employees are clear on if or how they can continue their “side hustles” without breaching company policies. Safety is one of the most important topics to address in your employee handbook. Details will vary depending on your industry – the health and safety concerns and requirements of a restaurant are naturally going to be very different from an office setting or a manufacturing environment. Mention any equipment, clothing or training required to ensure the safety of your new hire and his or her teammates, as well as processes to follow in the event of a workplace injury or other emergency. Last but not least, an employee handbook or company policy book should include a section for the employee to sign, acknowledging receipt and understanding of the document. This provides proof to the employer that the new hire received and read the handbook, which could come in handy in the event of a dispute. TIP: Modern employee handbooks are offered in both digital and print, with the ability to collect and track signatures online. This can be particularly helpful for rapidly growing teams that are juggling multiple new hires onboarding at once.